Students often ask "how can I sound more French?" and my first recommendation is always to work on vocabulary. In French classes, you tend to learn the most common, basic terms, like bon, which is a typical and very useful adjective that tends to be overused. 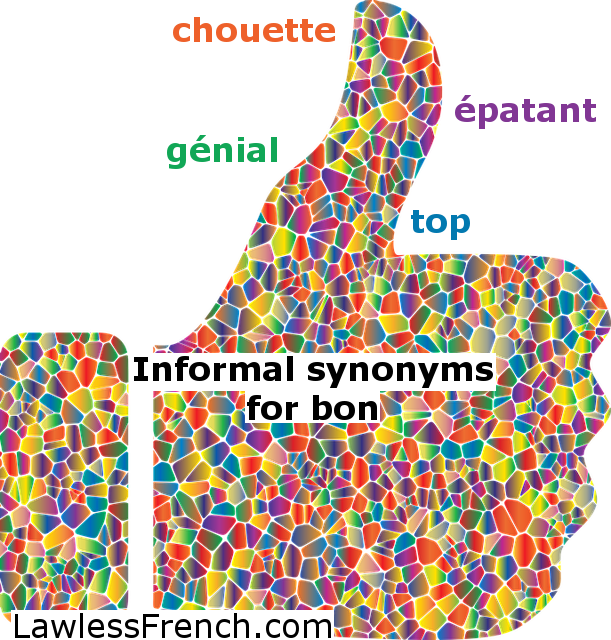 Once you’ve learned some synonyms for bon, read this lesson for some informal ways to say “good,” including how to pronounce them (click for sound files). C’est chouette, merci ! That’s great, thanks! Il est vraiment chouette.. He’s really nice. Elle est cool, cette fille. That girl is cool. Il a l’air cool. He looks cool. C’est un mec énorme ! He’s an amazing guy! C’est énorme ce que tu as fait. What’s you’ve done is amazing. C’est épatant ! That’s great! On est allé à une soirée épatante. We went to a cool party. Épatant was very popular in the 50’s and 60’s; nowadays it’s a bit old-fashioned – it’s used somewhat like “groovy” in English, for effect. Ce resto est extra. This restaurant is terrific. J’ai lu un livre extra. I read a great book. Tu es vraiment fantastique ! 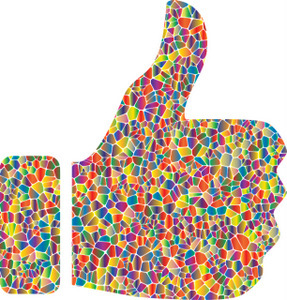 You are really fantastic! C’est une idée fantastique. That’s a fantastic idea. C’est formidable ! That’s great! Note that formidable can also mean “tremendous” or “big," and that it’s a faux ami: the English word “formidable” means redoutable or terrible. Ouaou, c’est géant ! Wow, that’s great! Ça serait géant si tu chantais. It would be great if you sang. C’était génial ! It was fantastic! J’ai entendu une blague géniale. I heard a great joke. Elle est super, cette nana. That girl is terrific. C’est pas top. It’s nothing special.